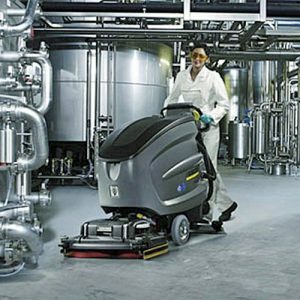 The Karcher B140R D90 Refurbished Ride-On Battery Scrubber Dryer is an industrial machine complete with rotary brushes or pads. 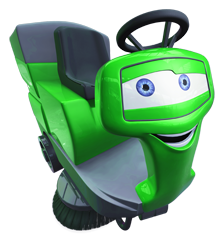 brush head generation. Working width of 90 cm, 140 litre tank, FACT system and memory function. 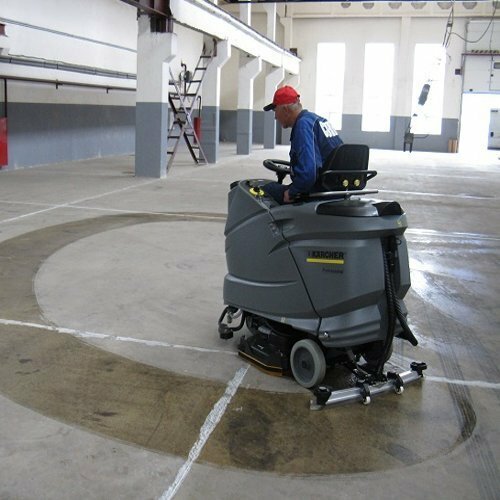 The D 90 S brush head with 2 disc brushes has a working width of 90 cm and is fitted with a practical brush quick changeover system. The side guards are height adjustable and keep the water under the brush head. 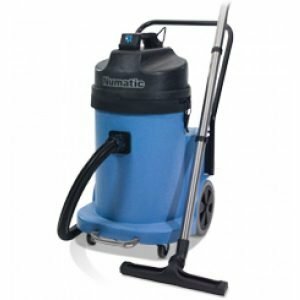 This ensures optimal detergent transfer to the vacuum bar, even in tight corners. 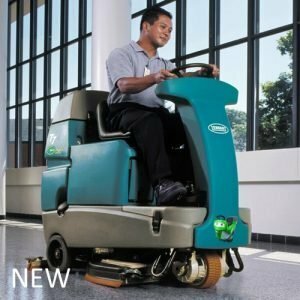 Compact dimensions and 90° turning radius . 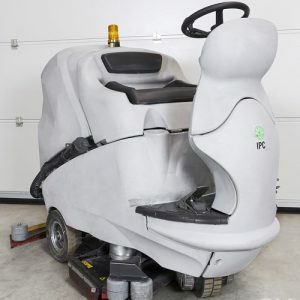 For better mobility and easy manoeuvring. 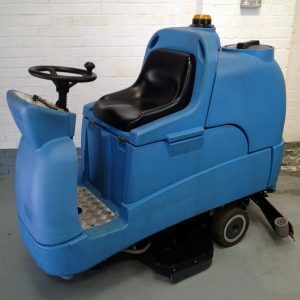 The machine is only 930 mm wide, this makes it suitable for narrow aisles. For quick and easy maintenance,low-maintenance batteries feature a central filling system. 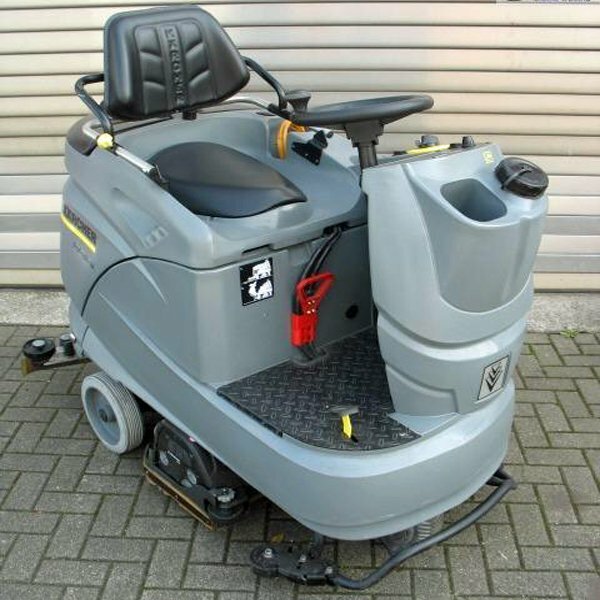 Negotiates up to 15 % gradients whilst fully loaded over long distances . 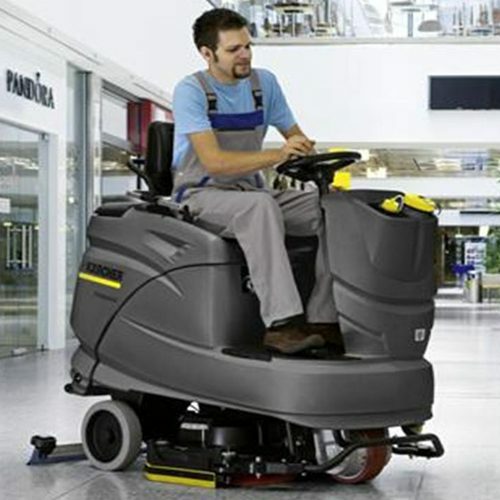 The Karcher B140R D90 Refurbished Ride-On Battery Scrubber Dryer includes a solenoid brake for safety.